Should you have any questions not listed below, contact us at info@gscshrm.org or fill in the contact form on our Contact Us page. What is the cost to attend the GSC-SHRM Conference? Conference rates are dependent on whether you are a SHRM national member (in good standing) or whether you are in-transition or a full-time student. All conference fees below include some meals and networking activities. There is an early bird discount of $25.00 for SHRM Members and Non-SHRM Members for the full conference registration if the registration is completed (paid in full) on or before June 1, 2018. Additionally, when 4 or more people from the same company register as a group, each person's registration is discounted $25.00. Please view the event fees by proceeding to the Fees page. If I have registered and need to cancel, can I receive a refund? Yes, as long as you cancel no later than 30 days prior to the conference date, you will be able to get a refund. Please note, a $25 cancellation fee applies. What forms of payment does the Garden State Council accept? During the registration process, you can select to pay by credit card, check or purchase order. You will receive a receipt upon completing registration. Be sure to include the participant's name or confirmation number in the memo of the check so payment can be applied correctly. We will issue confirmation email and once received, please allow time for mailing and processing. Instructions to download your invoice and receipt are provided in your confirmation email provided after you complete your registration. you may also print your invoice from your registration confirmation page or by logging in anytime after registration. I am not able to attend the whole conference. Can I attend on only one day? Yes, we welcome single day attendees. This year we’re happy to offer the following one-day only conference rates. Please note you must identify which day you will be attending when registering so that we properly plan for meals and refreshments. Since the conference is held at the Atlantic City Convention Center, is there an official hotel? 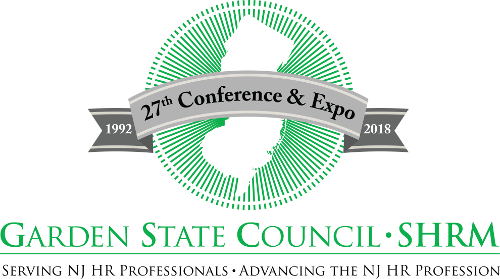 Yes, the conference facilities committee has arranged for a special $129 per night rate at the Sheraton Atlantic City which is connected to the ACCC. This also includes the cost of parking. Will there be parking available at the Atlantic City Convention Center (ACCC)? Parking is available in the parking garage of the ACCC at the rate of $15.00 per day. If you are staying at the Sheraton Atlantic City, this fee is included with your stay. Please pay at any of the kiosks in the parking garage upon leaving the conference for the day. How do I access my conference schedule & agenda? Before registration, you may view the available sessions and schedule under the AGENDA tab. After registration, you will be able to view/print your selected sessions and modify your agenda. You may modify your schedule anytime during the registration period. Also, our conference app will become available 4 to 6 weeks before the conference. You will be able to access your schedule, view details about your sessions, the speakers and other conference details directly in the app. We will issue a reminder once this becomes available & strongly recommend you to download the app. How many SHRM/HRCI Credits will I earn for attending the Conference and/or pre-conference workshops? We always strive to qualify for SHRM and/or HRCI recertification credits for the Conference that will be similar in number from year to year. This year our general programming has been pre-approved for 15.5 SHRM PDC's and 15.5 HRCI Credits with 21 sessions qualifying for Business and Strategy Credits! Our Sunday Business Sessions qualify for both SHRM and HRCI Credits with an additional 3.75 or 4 Business Strategygegy Credits. Will there be pre-conference workshops as in years past? Yes, this year, you will be able to take one of two conference workshops. Details can be found under the Sunday Business Ed. Page under the General information tab.